Our Liquid Limestone is a combination of crushed limestone and cream cement electronically measured to optimise its strength and colour. 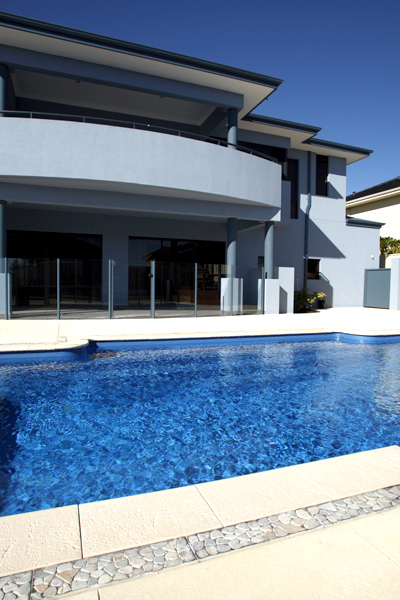 Depending on the size of the area to be poured and the complexity of the areas, times can vary but the majority of jobs are poured one day and the pattern, high pressure cleaning and sealing performed the following day allowing you to enjoy your new area as quickly as possible and with a minimal amount of disturbance to yourselves. When Can You Do My Job? Upon getting approval to proceed from yourself, the most you are likely to wait is 21 days, however, depending on your requirements and your urgency to proceed we will endeavour to complete the job in a shorter timeframe if possible. We have been known to meet impossible deadlines on many occasions. Our Liquid Limestone is installed to the highest industry standards keeping any chance of cracking to an absolute minimum. By using the best product in the industry combined with our high standards of workmanship any chance that cracks will appear are all but eliminated. Liquid Limestone is versatile in that it can be used indoors or outdoors, for Driveways, Patio’s, Pools, Paths or indeed anywhere you desire a modern, natural alternative to concrete and paving. We have over 18 standard patterns ranging from Random to Slate to Cobblestone. Additionally, we have variations to each standard pattern such as putting the pattern on a 45 degree angle or framing the patterns with feature borders. We can even do freehand illustrations of pictures supplied by yourself and carved directly into the surface of the liquid limestone. Some examples we have done are fairies, chameleons, logos and flowers. These do however have an additional charge. All of our work is sealed as part of our obligation to you. This is done as the final part of our work ensuring your beautiful new flooring will maintain its look long into the future. 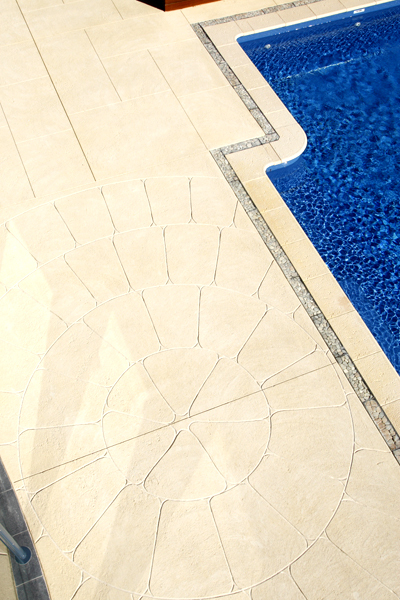 We supply a water based sealer, however, we suggest an acrylic based sealer to be applied. This will provide a much stronger protection and greater longevity of the product. A Perth Liquid Limestone consultant would be glad to discuss this further. We Want To Proceed With Our Quote, How Much Do We Need To Pay? To proceed with the quote we require a 50% deposit. We then request a final payment in full upon satisfactory completion of our work. The prices we quote are very competitive and we only give our best price straight up. If you want a cheaper price, it will come at the expense of the job, for example, reducing the area poured, not sealing the finished job or choosing not to have a pattern.